TK Sealcoating of St. Charles IL performs Parking lot Crack Sealing which is one of the most important maintenance events for asphalt parking lots and all pavement surfaces. Hot rubber or liquified rubber is used to seal the cracks in the pavement and prevents and slows water from destroying the stone base and subbase of your parking lot or roadway. The goal is to seal the cracks so that the water runs off the pavement and does not erode the base or foundation of pavement. Routing of pavement cracks prior to crack filling can be performed as an added service item or step making the crack sealing application longer lasting and more effective. TK Sealcoating performs pavement crack sealing and routing when requested. The routing or sawing of cracks opens the crack up wider and rounds off the coarse edges allowing for a larger reservoir to seat the hot rubber. This event then uses more hot rubber in the process but the seal is more permanent as the larger amount of rubber hangs on to the edges of the pavement when it expands and contracts with the ground movement. 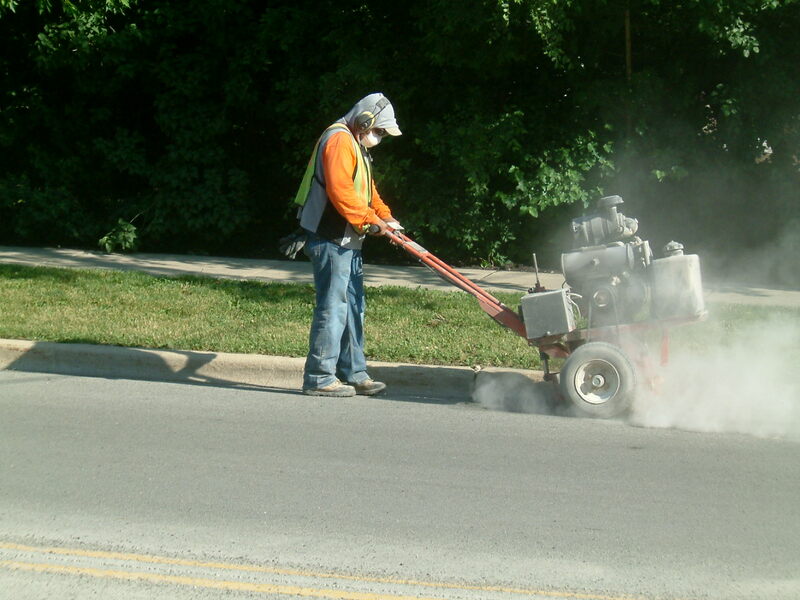 Freeze thaw cycles in all climates are different but in the Chicago pavement maintenance market, where TK Sealcoating performs most of its’ parking lot sealcoating, there are more of these cycles in a month and, therefore, more movement of the pavement. This creates more damage to asphalt in winter months than in other climates that experience less freeze thaw cycles. This explains why TK Sealcoating performs more pot hole patching in the Illinois market than in others. 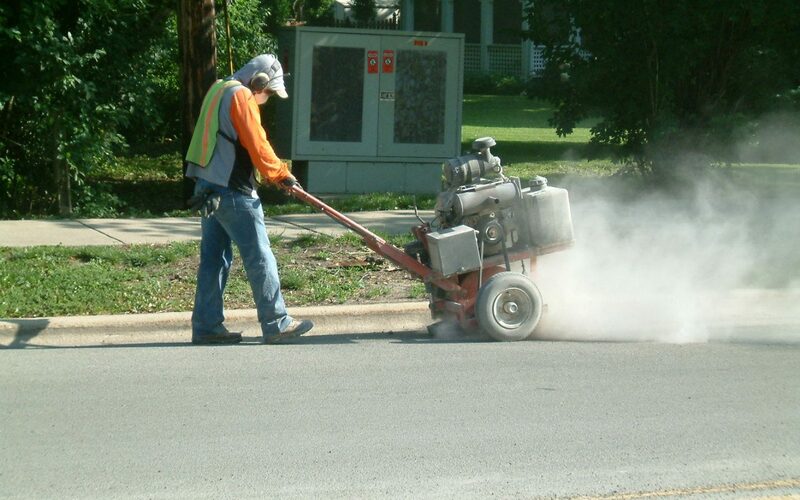 Prior to crackfilling, cracks should be cleaned of dirt, debris and vegetation using powerblowers and brooms or with compressed air or a heat lance. Following the cleaning, thecracks should be filled and then squeegeed flush with the pavement to leave minimalmaterial on the surface. Some commercial methods will leave a thicker build up ofmaterial on the surface and above the crack. This process will differ for residential andcommercial applications and with different material options available for each. Hot Rubber is generally a commercial product commonly used on roadways and parkinglots. It is a product designed to seal cracks greater than 3/8” to prevent water fromdestroying the stone base beneath the pavement. The process requires a heating machine that uses propane and requires considerable set up time and,therefore, comes with minimum cost investments for small projects. This process is a preventative measure.The application is sometimes not aesthetically desirable,but necessary for good long term maintenance practices and long term pavement preservation. If this process isperformed prior to a sealcoating application then the crackfilling material is lessnoticeable but still evident. Hot Rubber Crackfilling is the best process and offers the longest lasting crack sealing solution for pavement preservation. The flexible rubberadheres to the edges of the crack and allows for the expanding and contracting of the ground with climate changes. Most cold commercial pour crack filling materials are not as flexible and will often open up again within the same year they are applied.But thesestill provide good maintenance benefits if performed regularly. 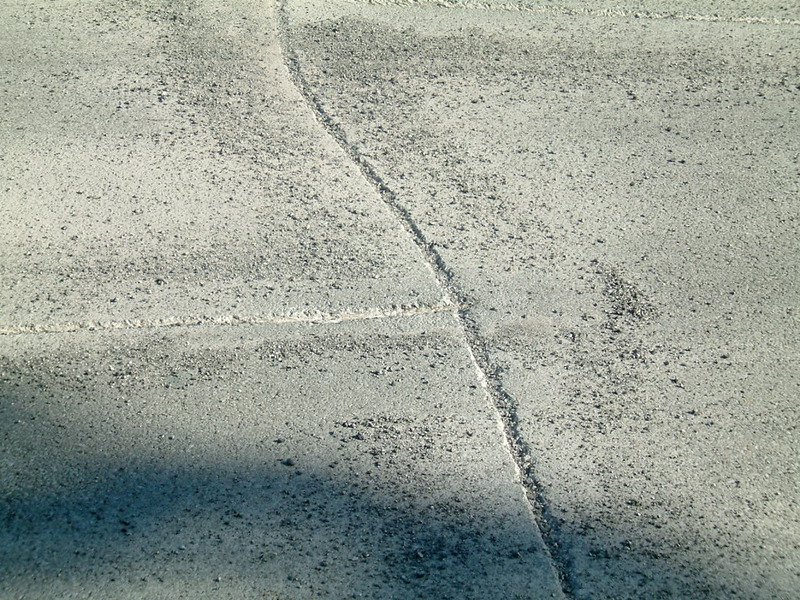 There are some recommended cold pour commercial crackfilling products that arerecommended in your pavement maintenance project.If cracks are generally large in widthand yet there is minimal cracking, then it may make sense to use a high end elasticcold material which can sometimes meet the same stringent standards of the various hot rubber materials. But cold pour crackfillers can be used successfully on commercialprojects for any sized cracks. We recommend the following good commercial grade cold crackfillers offered by Sealcoating.com. How much crackfilling will be performed on my parking lot or roadway? This is a good question because just how much material is placed is an“estimate”.Typically, contractors will estimate this by identifying how many linear feet will be filled in a proposal provided to the customer. This can be difficult to understand for commercial customers especially. If not explained properly, this can leave room for unsatisfied customers and is the reason we have created this document. If there are few cracks then there are rarely questions as to whether they can all be filled. If there are a considerable amount of pavement cracks, but the pavement is in relatively good condition, then a contractor can still identify the amount of actual cracks with a linear measurement (usually pavement that is 4-8 years old). This measurement can be all inclusive. In other words, an estimate reflects all of the cracks and there is little subjectivity in terms of which ones to fill and which cracks will not be filled. The majority or most greater than 3/8” can be filled. 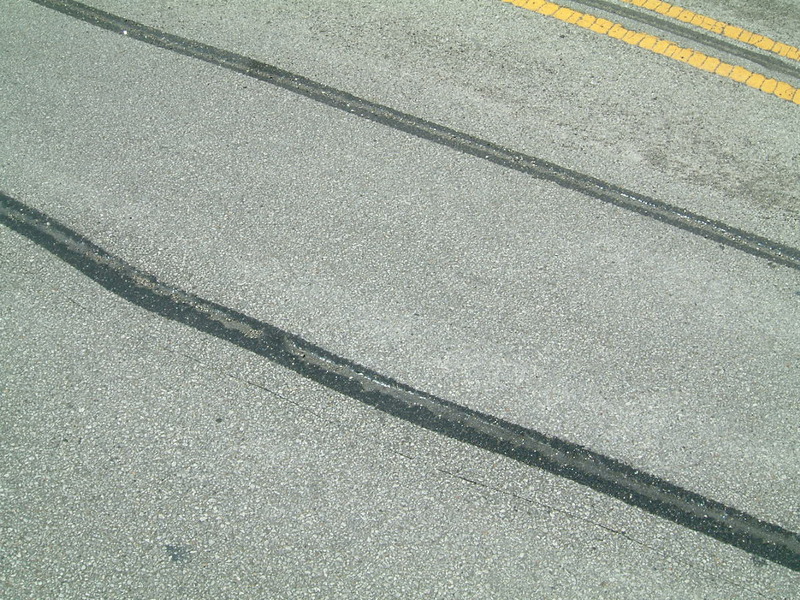 Contrarily, some conditions make it necessary to only fill “main line cracks”or to perform crackfilling on only the important seam cracks or cracks that can help to prolong the life of the pavement. In this scenario,often there is excessive cracking and so all of the cracks cannot be filled. The cost would be too great for the benefit. The benefit of filling the cracks, is no longer an effective preventative measure. The most common above situations requiring crackfilling include pavement in average condition to excessively poor condition. Both of these situations require estimates of crackfilling to be performed where,more than likely, all cracks will not be filled. However, the proposed quantity in length or weight will be performed. The field employee is trained to perform this using a budgeted amount of material based upon the estimate and concentrating on the cracks that should be filled. Our estimates will include this quantity with a unit price for additional material above and beyond the proposed amount. The estimate and budget for material usage is based upon a formula using an average width and depth of the cracks. Finally, sealcoating which is often performed following the crackfilling, is not really assubjective as the amount of crackfilling estimated because the area identified to be sealed is the actual area that will be sealed and is an exact measurement. The only subjective element is the mix design or quality of the materialto be applied which generally will vary from contractor to contractor (see reputable contractors and mix design). Therefore,if you object to or are not interested in additional charges to perform a more extensive crackfilling process (only if needed), than you should discuss this with your pavement consultant and make this clear. It is an important process to understand. You should be part of this decision to perform more or less crackfilling than the quantity quoted or proposed. But understand that there will be cracks that remain unfilled. Please also note that some hairline cracks or “checking”, as it is referred to in the industry, can occur when there is a build up of many layers of sealer. This is visible when the sealer actually shows small cracks on the surface (not actual pavement cracks), and are generally only treated by the sealcoating process. Often pealing or flaking of the sealer which is built up over many years, will begin to occur in the years following these hairline cracks. Cold Pour Crackfiller is for both residential and commercial applications. It is a product designed to fill cracks greater than 3/8”to prevent water from destroying the stone base beneath the pavement. Many cold crackfillers are beneficial if applied regularly for residential drives and do help to keep water from destroying the stone base beneath the pavement. How much crackfilling will be performed on my driveway by TK Sealcoating of St.Charles? Our residential sealcoating proposals include within the price a minimum amount ofcrackfilling. Our competitors will often not perform any free of charge.If additional or extra crackfilling is desired, then there will be a separate charge or line item in yourproposal for this upon your acceptance and understanding.If crackfilling is important to you, then you should request for more crackfilling or authorize the use of more than the minimum allowable crackfiller. The amount included with your sealcoating application without an additional charge is equal to approximately one gallon of crackfiller per 1000 square feet of the sealcoating area.In general this will include the “mainline cracks”and not all cracks or the finer cracks.Additional crackfilling can be performed if it is important to you and requested or authorized.But in both cases all cracks will not be filled by the crackfilling process.Examples of cracks that will not be filled are hairline cracks or sealer cracks sometimes referred to as“checking”. These are not filled but are addressed with the sealer itself.“Edge cracks along the edge of your driveway are also not filled as this is no longer preventative. Generally,only“mainline cracks”greater than 3/8”are filled with crackfiller. If you answer ANY of the below questions with a“yes” you should advise your estimator that you would like the added crackfilling protection which WILL require an additional cost or line item in your proposal or estimate. Is your driveway more than 8 years old? Is the crackfilling part of our service very important to you? Are cracks in your driveway concerning to you? What cold pour crackfiller does TK Sealcoating use on driveway applications? Fat Crack by Sealcoating.com or Spider Crack. Can Hot Rubber be used for Residential Applications? Hot rubber, generally,should not be used for residential crackfilling as it can create tracking problems and oftenleaves a less than desirable look for most homeowners. We advise against it in residentialapplications as it does have a more“industrial” look. But we will perform this work forcustomers who understand the concerns and are willing to make a larger investment. * All evenings available by appointment. Please make an appointment. Copyright © 2018 TK Sealcoating & Paving All Rights Reserved.